What do I do if I can’t sustain the change? They can pile up and overwhelm some of us pretty quickly! 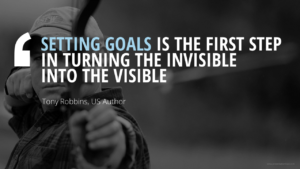 One of the first things I do with my teams to help them get comfortable (pun intended) with getting out of their comfort zones is to help them see the value of having goals. Set big goals that come closer to requiring a miracle to achieve than not, and use the “long-shot” of it as motivation to keep working towards it. Set goals that they know are achievable, they may require some considerable effort but they can see the steps from a to z and with persistence, time, and hard work they know they can achieve it. Set goals that require barely any change or effort where the emphasis is building confidence because you can feel good about yourself for achieving it. 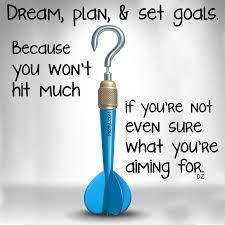 Don’t set goals, some rarely make plans and live on a whim and how they feel at the moment. I have yet to work with a team that doesn’t have a mix of these four types which makes the first challenge in helping the team get out of their comfort zone, agreeing on a kind of goal! There are pros and cons in each of these goal setting camps. A pro of setting big goals is that it stretches you beyond what you knew you could do or go. A con is that for some people if it is too much of a long shot they will never really try for a myriad of reasons. A pro of setting goals that are achievable with work, time, and a plan is that it can motivate some people to push harder than they would without the goal. A con is that it doesn’t require much of a stretch and some need more motivation. A pro of setting goals that require barely any effort at all or something you are already doing anyway is that they can be great at boosting confidence. A con is that it can become extra work to log and track completing things that you would be doing any way. A pro of not setting goals at all is that if concentration, creativity, or something like that is helpful to accomplish the goal than “feeling” creative sure helps to do it. A potential con is that it is increasingly difficult to accomplish much in life with out any goals and only doing things when you “feel” like it. Some still seem perfectly happy about this, others, not so much. What camp do you fall in when it comes to goal setting? Do you go big? Go safe? Can you name your team members and what camp each of them fit in? Other factors can also play a part in the challenge of setting goals, we’ll discuss those next time.